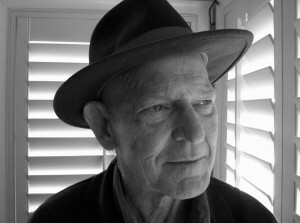 A few years ago, poet Bill Berkson was at a friend’s dinner party where the conversation steered towards romantic movies. The poet began musing about the climactic kiss in Hollywood films and the concept of happily ever after. When he went home that night, he wrote his thoughts down in a poem called “Reprise,” which appears in his collection “Expect Delays,” published in November. “Just as I’m happy to sit down and quote other people, you take your lines and poems wherever you can get them,” Berkson told Art Beat. Berkson’s poetry isn’t known for one particular style, and “Expect Delays” captures that variety. He describes it as a “sense of scatter.” The collection showcases different approaches and writing styles, varying between abstract and concrete, related experiences and unrelated. It’s his first book since his 2009 “Portrait and Dream,” which collected 50 years of work. Through the process of editing that collection, Berkson pored over five decades of his poetry and began to see the full range of his writing. For the first time, he says he let himself take pleasure in it. the two stars are kissing with their eyes closed, and the music swells. such prolonged kissing promises. Meanwhile, kissing itself is amazing. I got completely lost in it. I went out and started kissing anyone I could find. Who? I always had good taste in women. Another section offers three “arrangements” that vary from prose to poetry to stray lines and aphorisms. Berkson wrote these starting in 2005 in one long document on the computer. Berkson thanks his “good editorial imagination” for his ability to organize his work. It’s the same skill, he says, that helps him strengthen poems that give him trouble. “Reprise” from “Expect Delays” by Bill Berkson, courtesy of Coffee House Press.